It´s Thursday, time for the new post. We are feeling purple today! No, not just today, but already the whole week, because we have been preparing a new pattern for you guys and it is purple. And because it`s summer time, we decided to do sandals again. 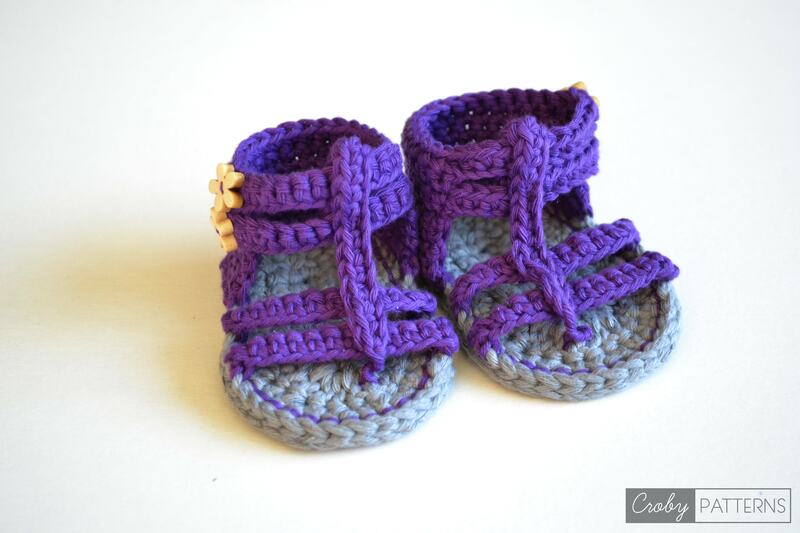 Yes, we know, we have a sandalmania at the moment, but it´s summer, and the little feet should see the world too. 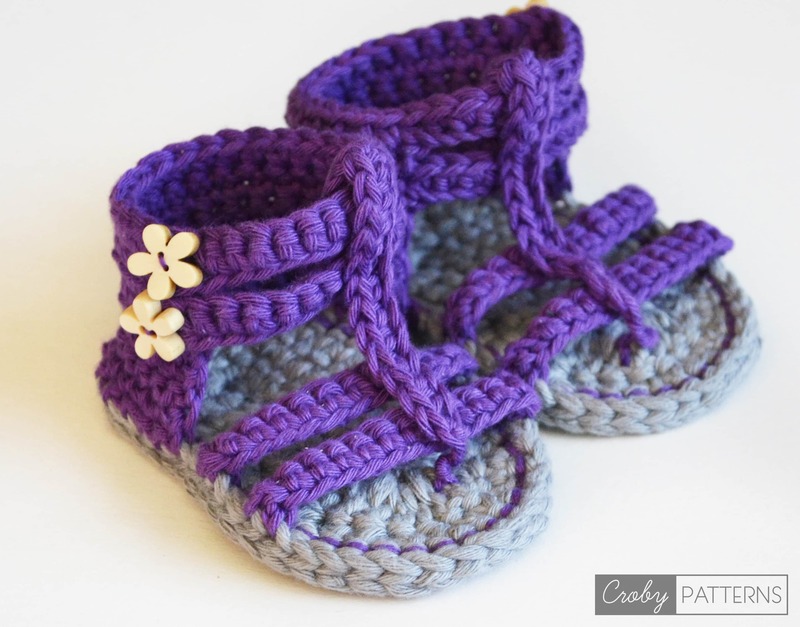 This sandals are again a bit more appropriate for girls than boys, but I if you stop a few steps before finishing they can be worn by boys too. Now let’s stop talking, here are the pictures. 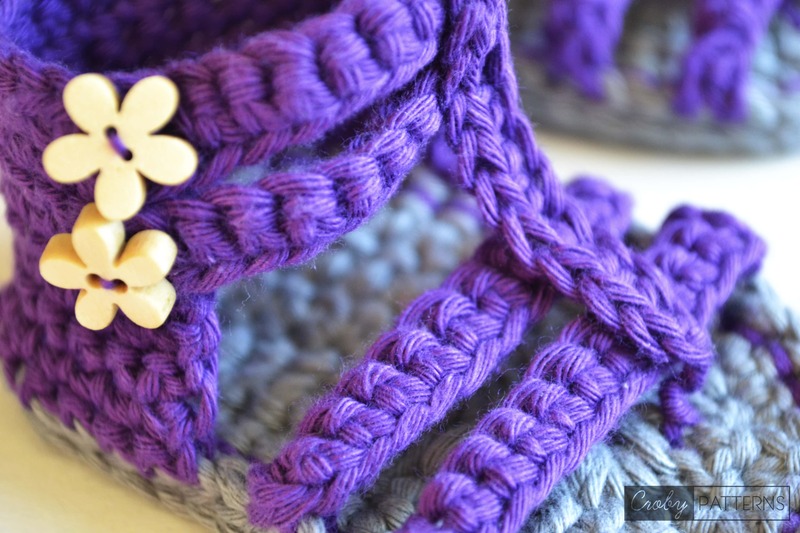 If you feeling crafty today you can find this pattern in our store on Etsy or Ravelry. If you are not sure about quality of our patterns, you can download our FREE pattern first and then decide. Hi there! 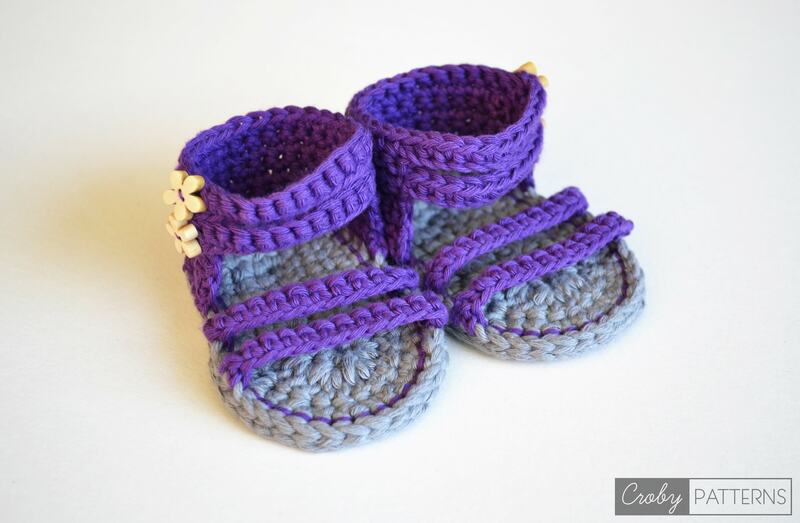 This is one of my premium crochet patterns and is available in my pattern stores only. You can find it here.